For many years ethical or responsible investment was synonymous with poor returns. Multiple studies now show that conforming to Environmental, Social and Governance (ESG) principles can have a positive impact on a company’s financial performance. How can ESG factors improve investment performance? 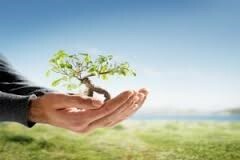 ENVIRONMENTAL: attention to environmental protection can avoid expensive fines, clean ups and poor publicity. SOCIAL: ensuring the supply chain and end products are safe for consumers avoids expensive product recalls and loss of reputation. GOVERNANCE: Avoidance of corruption and incorporating fair work practices for employees increases productivity. ‘’Seeing the future’’ and early adoption of technological advances can avoid obsolescence. Negative or ethical screening aims to exclude businesses involved in activities that are harmful to humans, animals and the environment. This can include armaments, “factory farming,’’ animal testing of cosmetics, tobacco, gambling, mining and activities contributing to environmental destruction or human rights violations. Positive screening specifically includes companies that make a positive contribution to society and the environment. For example, the efficient management of water and waste, renewable energy, sustainable agriculture, fisheries, forestry and biotech/ medicine. There are often grey areas in ethical investment. Some clients may reject coal burning power generation but are happy with nuclear generation. Alcohol is often acceptable but gambling or tobacco is not. A mining company may have a good record of restoring the environment and protecting its workers. Investor engagement with companies can encourage them to move them towards more ethical and sustainable practices. Divestment is often seen as a last resort as it takes away the ability to engage and influence. To help in our investment selection we use resources from the Responsible Investment Association of Australasia (RIAA) and the Morningstar Research Sustainability ratings. In asset classes where there are less ethical investment options available, we utilise fund managers who subscribe to the UN supported Principles of Responsible Investment (PRI) and therefore run an ethical screen over their underlying investments. Saturn Portfolio is a member of RIAA which works to actively promotes responsible investment to fund managers, super funds, analysts and brokers across the region. The 2016 New Zealand Responsible Investment benchmark report showed that responsible investments in NZ grew to $77.1 billion by the end of 2015. It is encouraging that the movement towards a sustainable future does not have to compromise an investor’s return objectives.